Miami (AFP) – The San Francisco Bay area’s Silicon Valley is home to a plethora of wealthy tech companies, but the sinking land beneath risks leading to far worse floods in the years to come, researchers said Wednesday. This sinking, or subsidence, coupled with sea level rise, doubles the territory in the area known as Silicon Valley at risk of flooding by 2100, said the report in the journal Science Advances. Until now, official government flood maps and projections have been based solely on estimates of sea level rise. “The ground goes down, sea level comes up, and flood waters go much farther inland than either change would produce by itself,” said lead author Manoochehr Shirzaei, assistant professor in Arizona State University’s School of Earth and Space Exploration. Most of the San Francisco Bay shoreline is sinking by less than two millimeters a year, but “in several areas we discovered subsidence rates of 10 millimeters (half an inch) a year and more,” said the study. 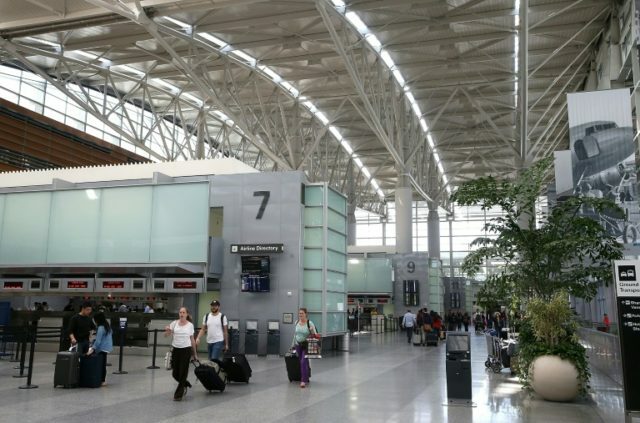 At particular risk are structures built mostly on landfill, such as the San Francisco International Airport which handles more than 200,000 annual landings and sees 56 million passengers passing through each year. “When land subsidence is combined with projected rising sea levels, water will cover nearly half the airport’s runways and taxiways by the year 2100,” said the study. Another trouble spot is Foster City, also built on reclaimed land between San Francisco and San Jose. Since real estate is costly and hard to come by, an increasing number of companies have established themselves where “significant parts of the city will be at risk of flooding by 2100,” said the report. Treasure Island, located between San Francisco and Oakland, is also sinking fast, at a rate of one-half to three-quarters of an inch (12 to 20 millimeters) per year. Previous studies, which did not take sinking land into account, estimated that at a minimum, 20 square miles (51 square kilometers) of San Francisco Bay shoreline will face a risk of flooding by the year 2100. Adding the effects of sinking ground along the shoreline, scientists found that the area threatened by rising seawater rose to at least 48 square miles (125 square kilometers). The upper level, or worst cast scenarios in which sea levels accelerate due to glacial melting, predict around 160 square miles (413 square kilometers) at risk of flooding by century’s end. The new findings are based on state-of-the-art satellite-based synthetic aperture radar (InSAR), collected from 2007 to 2011. “There are many estimates and models for sea-level rise,” said Shirzaei.